HTC One M9 leaks are coming thick and fast as its release fast-approaches, with the latest exposé revealing its entire spec sheet. Another day, another leak for the HTC One M9. This time all of its specs have been laid bare and, well, it's good news. According to the spec sheet published by Twitter-based leakster @upleaks, the latest HTC flagship will boast some powerhouse capabilities. First of all, it's said to pack Qualcomm's Snapdragon 810 processor, an impressive chip that will be able to juggle a variety of tasks. On top of that, the One M9 will come with 3GB of RAM and the option of 32GB or 64GB of internal storage – expandable via microSD. It also swaps the dual-lens camera that was used on the HTC One M8, in favour of a hefty 20.7MP rear-facing shooter as well as a 4MP front-facing snapper. While visuals get better, the screen doesn't. The One M9 sports a 5-inch 1080p display, which isn't by any means inadequate, but is a notch below the 2K panels that are expected to land on the Samsung Galaxy S6 and Sony Xperia Z4. Extra features on the list include a 2840mAh Lithium-Ion battery, BoomSound stereo speakers and Android 5.0.2 Lollipop OS with a new HTC Sense 7.0 UI. The impressive specs combined with the premium metal body, which we got a glimpse of last month, suggest the One M9 will continue HTC's smartphone success. Rumour is that HTC might even follow Apple's lead and launch a larger One M9. Although this is just hearsay, so we'll have to wait and see. 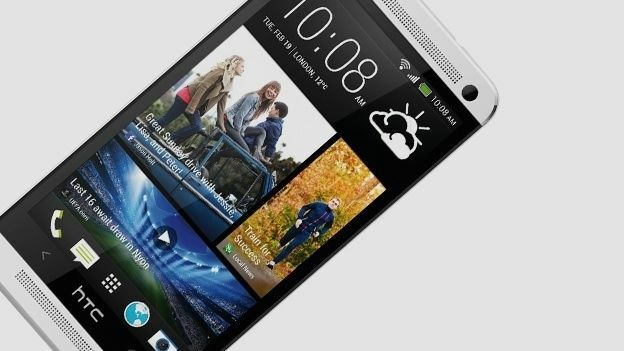 The HTC One M9 is expected to debut at Mobile World Congress on March 1. T3 will be on hand at the tradeshow to report all the latest, so stay tuned.